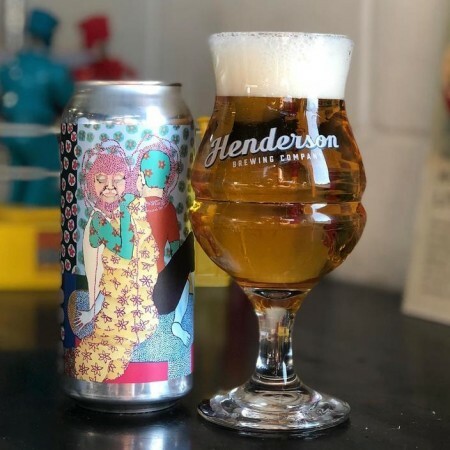 TORONTO, ON – Henderson Brewing has announced details of latest in its monthly Ides Series of limited edition beers, with this month’s release a bit earlier than usual so it could be served at the Toronto Outdoor Art Fair (TOAF) this past weekend. Radicle (4% abv) is a dry-hopped kettle sour described as “clean, light, and super refreshing [with] a tart lemon-rind tang.” It features a label designed by artist Katrina Jurjans, who won both the Best of Painting Award and Best of Student Award at TOAF 2017. Radicle is available now on tap and in 473 ml cans at Henderson while supplies last.